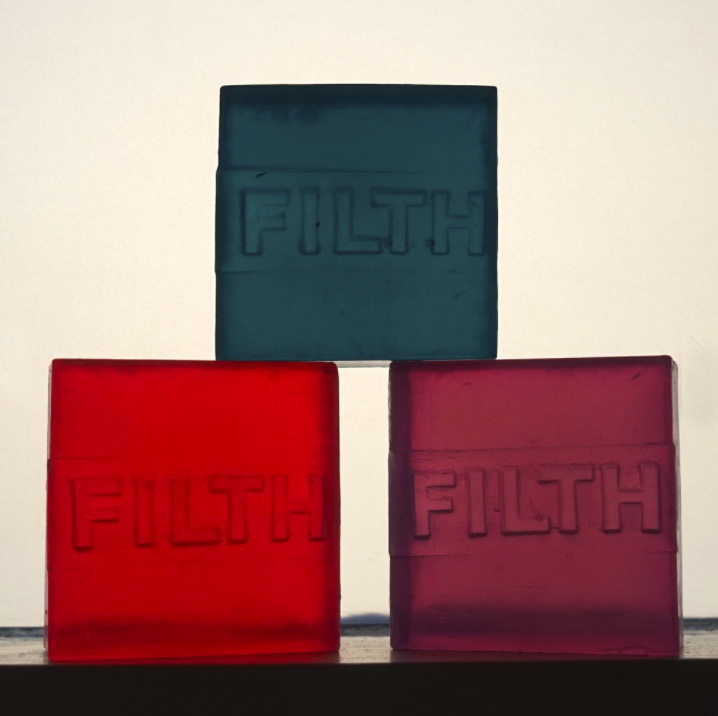 Above: Filthy words can always be washed out with Dirty Soap, £9 a bar. On the 6th day of Christmas my true love gave me witty words from Badger’s Velvet. Ros Badger, who launched Badger’s Velvet in September 2017, has a passion for recovering beautiful objects. Her life long philosophy of “waste not, want not” informs all of her creative output, from working with vintage homewares & clothes to the aesthetic possibilities of applying text to everyday objects. Words on the things we use everyday? Sign us up. 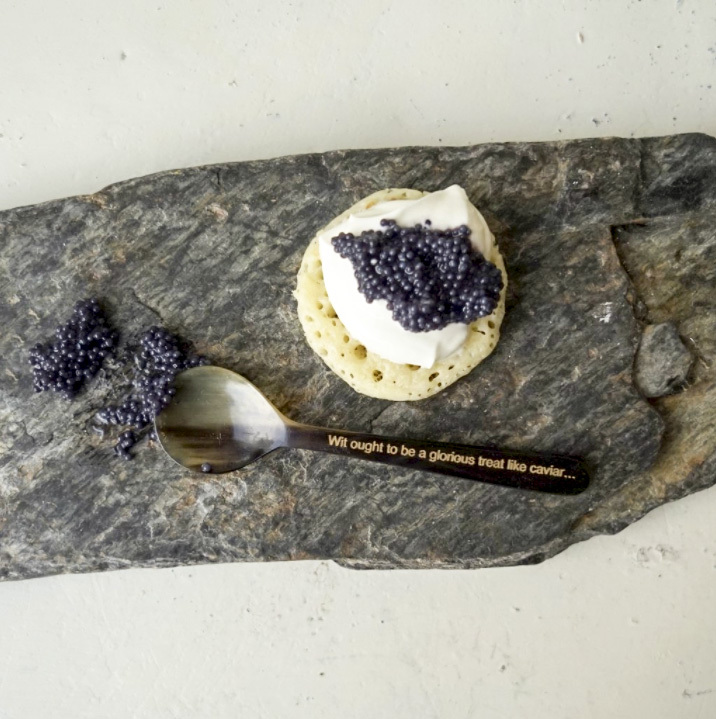 Above: A quote from Noel Coward — “wit ought to be a glorious treat like caviar; never spread it about like marmalade — inspired the Horn Caviar Spoon, £17. Above: “I got the blues thinking of the future, so I left off and made some marmalade. 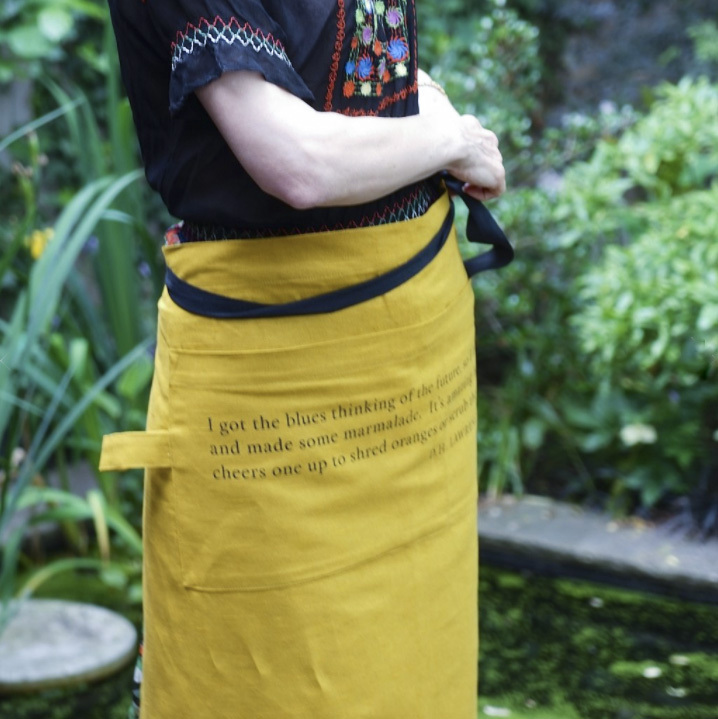 It’s amazing how it cheers one up to shred oranges or scrub the floor.” An apt quote for our times by DH Lawrence for our current times printed on an Ochre Linen Waist Apron, £70.